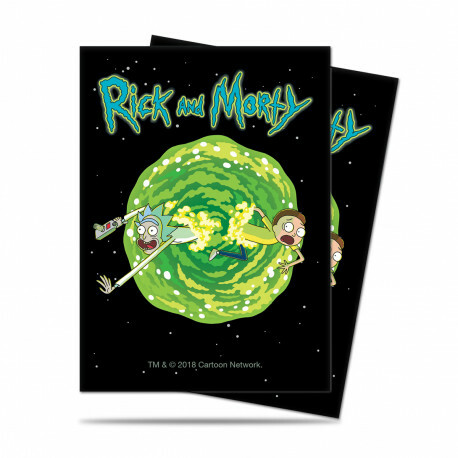 Ultra PRO Deck Protector sleeves, featuring Rick & Morty! Each sleeve stores and protects standard (Magic, Pokémon) sized cards from gaming wear and tear. Made with archival-safe polypropylene materials and printed with vibrant, full color artwork. Each pack comes with 65 sleeves.